On 3rd August the European Medicines Agencies published the long-awaited report on its so-called adaptive pathways pilot project. The report did not dissipate the doubts on the approach raised by civil society organisations, academics and HTAs. A clear definition of unmet medical needs, well-defined criteria to assess drugs to enter a fast-tracking market approval, more transparency, stronger post-marketing pharmacovigilance: those are only few of the concerns raised. In May a group of nine prominent professors and scientists had addresses a letter to EMA’s Director questioning the assumptions of the pilot project proposal and suggesting changes. 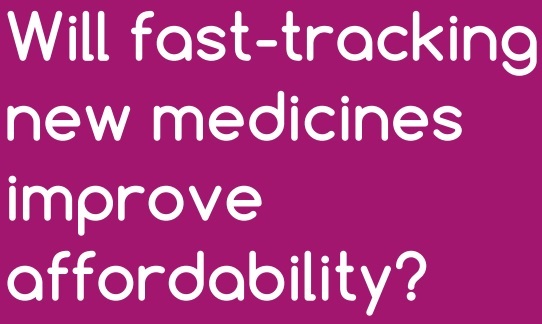 EPHA’s issued a briefing “Will fast-tracking medicines improve affordability?” questioning the scope, aims and transparency of the project and underlining that “framing adaptive pathways as a pilot project has prevented and impeded any political scrutiny”. The European Consumers Organisation, BEUC, also articulated its doubts in the position paper “A fast-track approval for new medicines – Patient safety at risk?” stating that fast-track procedures could expose patients to unnecessary health risks. Yet, not only NGOs are worried about the adaptive pathways approach. IQWIG, the German Institute for Quality and Efficiency in Health Care, also voiced criticism , particularly on the use of real world data. The British Medical Journal published the analysis “Adaptive pathways to drug authorisation: adapting to industry?” where the assumptions of the projects are reviewed. The authors underline how “evidence underpinning them is either lacking or contradictory, calling into question the EMA’s case”. EMA will organize a workshop in December to discuss the outcomes of the pilot project.